Victor Lincoln Crump was born on January 10, 1948 and joined the Armed Forces while in Baltimore, Maryland. He served in the United States Marine Corps. In one year of service, he attained the rank of Corporal. On November 29, 1967, at the age of 19, Victor Lincoln Crump perished in the service of our country in South Vietnam, Quang Nam. 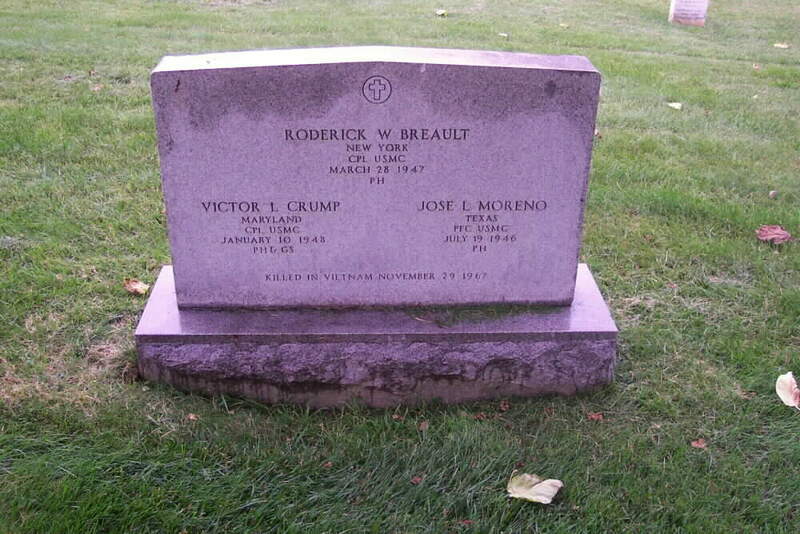 Corporal Crump is buried in Section 46 of Arlington National Cemetery together with Roderick W. Breault, Corporal, United States Marine Corps and Jose L. Moreno, Private First Class,United States Marine Corps.